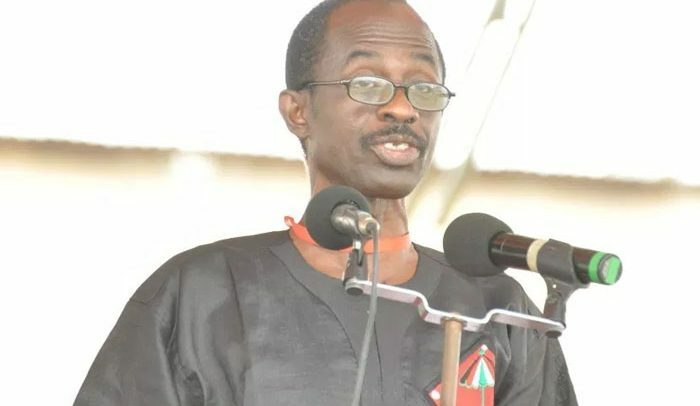 The General Secretary of the National Democratic Congress (NDC), Johnson Asiedu Nketia, says the largest opposition party in the country is being threatened by tribalism in recent times. According to him, the party that was fiercely against tribalism when he joined has been inundated with tribalism. Addressing delegates during the party’s Ashanti Regional Congress held at Kumawu on Saturday, Mr Asiedu Nketia, popularly known as General Mosquito, admitted that tribalism, which is rife in the party, must be dealt with. He stated that tribalism and culture of intolerance in the party are pronounced in the Ashanti Region, which is the stronghold of the ruling New Patriotic Party (NPP). “This tribalism thing is seriously killing us in this region. I will say it as it is if nobody dares say it. It is a major problem that ought to be dealt with. Everywhere that people are in minority they tend to unite,” he asserted. He continued: “We mostly hear some party members claiming the NDC belongs to the Voltarians because the founder is from Volta Region. Some others also say the party is for northerners because President Mahama is from the Northern Region, and the Ashantis will say they will not sit down for other tribesmen to be their leaders in the region. “What we need to do us a minority party in the Ashanti Region is to unite so as to be strong enough to fight the NPP that are in majority. For him, tribalism partly contributed to the party’s defeat in the last general elections. “Because we did not approach the polls with a sense of unity, the NDC could not win the 20 per cent votes it normally secures in the Ashanti Region”. He added that the Ashanti Region is as important to the NDC as Volta and Northern Regions, because it’s among the first four regions that give the party the largest votes in every general election. “Like former President Rawlings requested; vote for candidates who are committed to the party and its aspiration to secure victory in the 2020 elections and not on tribal lines. Vote according to the instructions from your constituents,” he charged the delegates ahead of the polls. Augustus Nana Akwasi, who defeated former Deputy Minister Joseph Yammin, to become the newly elected Chairman of NDC Ashanti Region, accepted the challenge thrown by General Mosquito and promised to unite the rank and file of the party in order to make electoral inroads in the region.